Replacing the sour cream with nonfat plain yogurt gives this dip extra tangy flavour. Serve with crackers and veggies for a great snack. 1 Combine Knorr® Vegetable Dry Soup Mix, Hellmann's® 1/2 the Fat mayonnaise-type dressing and all other ingredients in medium bowl. Chill about 2 hours. 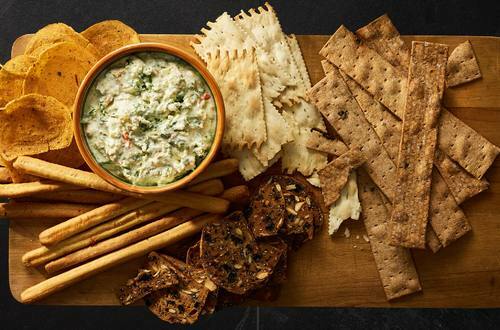 Serve with your favourite dippers.